In this interview, Jeremy Snyder (Simon Fraser University) discusses his recent paper on how patients who crowdfunded to take part on ‘clinical trials’ interpreted claims made by the businesses selling them. 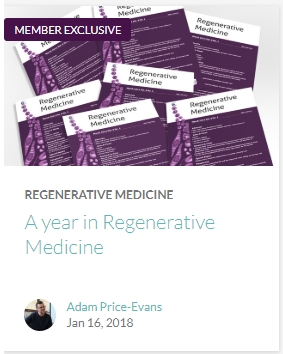 You just published an article in Regenerative Medicine about crowdfunding campaigns to pay for stem cell ‘clinical trials’. What prompted you to write this paper? We were prompted to write this paper for two reasons. First, we have been interested in the rise of media coverage of medical crowdfunding in general and concerned that this coverage is often uncritical, accepting crowdfunding as a feel good story. While there are many positive aspects to medical crowdfunding, there are reasons to be concerned with it as well. Second, in my own previous research on crowdfunding I often saw campaigns for unproven medical treatments. I was interested to know how common this practice was and what its implications were. Why is it important to understand how potential customers are interpreting claims made by business touting unproven stem cell interventions? 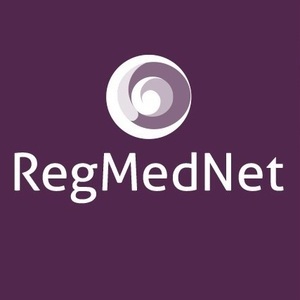 It is important to know how customers are interpreting claims from stem cell clinics in order to determine how these marketing claims are influencing the public's understanding of stem cell science and whether these customers are giving fully informed consent to these medical treatments. Other scholars have observed that stem cell marketing messages are often highly problematic, making or implying efficacy and safety that is not supported by science. What is less well understood is how accepting the public is of these claims. Our research shows that in many cases the public internalizes, spreads and, in some cases, even exaggerates these messages. This is hugely problematic as these campaigns serve to spread these misleading messages to a wider public who may not have even been considering purchasing stem cell treatments. What do you hope publication of your article will accomplish? 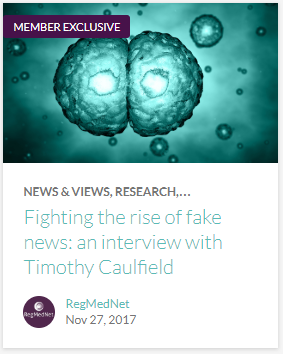 I hope this article raises awareness that attempts by some stem cell clinics to associate their products with legitimate scientific activities are working. Many of those seeking to purchase their services are taking home the message that the efficacy of unproven stem cell treatments is actually established, counter to the truth. Moreover, government agencies like the NIH and FDA are being co-opted into this process as they are being linked, however misleadingly, with these clinics. Do you think your article will have an impact? Are policy-makers and NIH officials likely to share your concerns? I can't speak to what policy-makers will or won't do with this information, but I certainly hope that they would be appalled at being co-opted into these marketing messages and having their names and legitimacy used to exploit the public. These kinds of practices erode public trust in these institutions and thus they badly need to be addressed. How do you think availability of stem cell-based therapies as part of pay-to-participate ‘clinical trials’ could change in the future? It is hard to say, but I worry that crowdfunding may increasingly serve as a mechanism to finance participation in these trials. In my experience, where there is a market and financing for a product, companies will tend to fill that demand. My concern is that many companies doing so will be more focused on selling a product that advancing research.